Datadeck collects and blends data in real time to visualize it in beautiful templates and widgets. "Intuitive BI software with potential"
DataDeck allows me to create easy to use dashboards with customized widgets of information directly from my google sheets. The tool is intuitive to use. The reports are easy to consume and sharable with your team. DataDeck has been continuously improving with new features being added from the product roadmap. The support team is responsive and prompt in providing requisite help. My needs are not too complex. My goal in using DataDeck is to summarize information from google sheets to make marketing decisions. DataDeck is evolving but in its current form is more suited to serve small sized businesses. For more advanced enterprise level requirements, I would still gravitated towards Tableau, QlikView and SpotFire. Have a dedicated owner who is tasked with administering the product - Preferably someone who has data chops. This person should also have the right levels of access to the data (which is sensitive in many organizations) and this person should have the task of summarizing the data to produce the reports for end consumption by the business stakeholders. 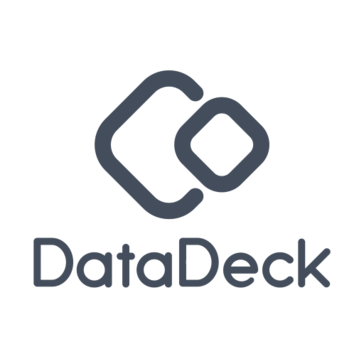 DataDeck enables our marketing team to make decisions related to ad spend as well as content effectiveness. The tool provides us basic visualizations that are more powerful than when viewed in a tabular format. "Solid app for visualizing data"
I like the integration with Google Adwords and Google Analytics. Reports are easy to share within the company and it's a quick way of making a real time report look way better than in an excel sheet. At many points the UI/UX could be better. I needed quite some time to really get the product. If you need solid and rather basic reports visualized (partially in real-time) data-deck is a good solution. Google data studio is an alternative if you want more functionality but also a more complex product. We have reports concerning our website and blog performance on datadeck that take most of the data directly from GA and some data from google sheets that we fill in manually. "KPI reporting for a major Australian Telco "
Datadeck made it dead simple to connect a mysql database and generate meaningful reports. Before using Datadeck we could only report on the current days data. Datadeck gives us a trend over the whole period. I would like some more just in time filtering capabilities. Map out the questions you want answered using Datadeck first then go build wdgets arounds that. If you jump right in without understanding your data set properly (or where you're going) it tends to take longer. We taken huge daily, monthly and yearly data sets and converted it actionable intelligence that has helped the telco forecast and plan for future growth. Without Datadeck we would tediously be putting together reports manually using spreadsheets. If we had to build what Datadeck makes effortless we would have spent more than 5X the projects allocated budget. "Beautiful way to build dashboards, visualize and report data"
Pretty easy to use. The design is gorgeous. It is also pretty easy to share data and dashboards with your team. At times I feel, that more data sources could be added. Sometimes I needed to build workarounds where I put data from some data sources into a Google sheet that I could then connect to datadeck. Reporting website and traffic performance to management in a concise way via dashboards. * We monitor all Datadeck reviews to prevent fraudulent reviews and keep review quality high. We do not post reviews by company employees or direct competitors. Validated reviews require the user to submit a screenshot of the product containing their user ID, in order to verify a user is an actual user of the product. Hi there! Are you looking to implement a solution like Datadeck?